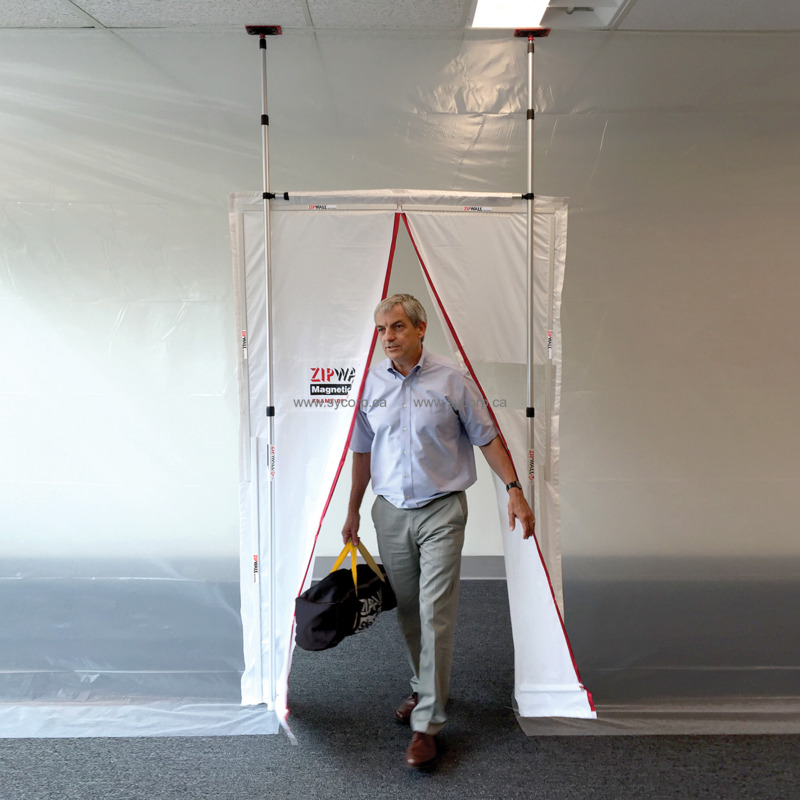 The ZipWall® magnetic dust barrier door is the easiest way to get in and out of a dust barrier. It is self-closing, and can easily handle high traffic. Setting up the magnetic door takes just a few minutes. 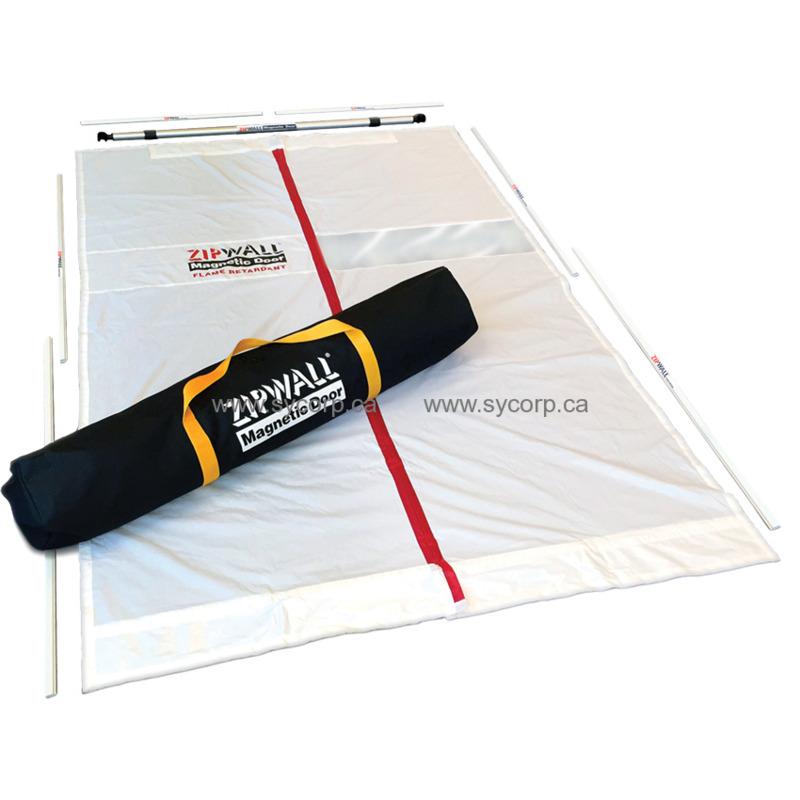 A header bar holds the door up between two ZipWall® poles. The magnetic door panel attaches to the barrier material with specially designed magnetic strips. Powerful self-closing action maintains a tight seal. Poles are sold separately. Contents: One 7′ 2″ × 4′ 7″ door panel, four 3′ 8″ and two 2′ 1″ magnetic strips, one header bar, and a carry bag. Poles are not included.